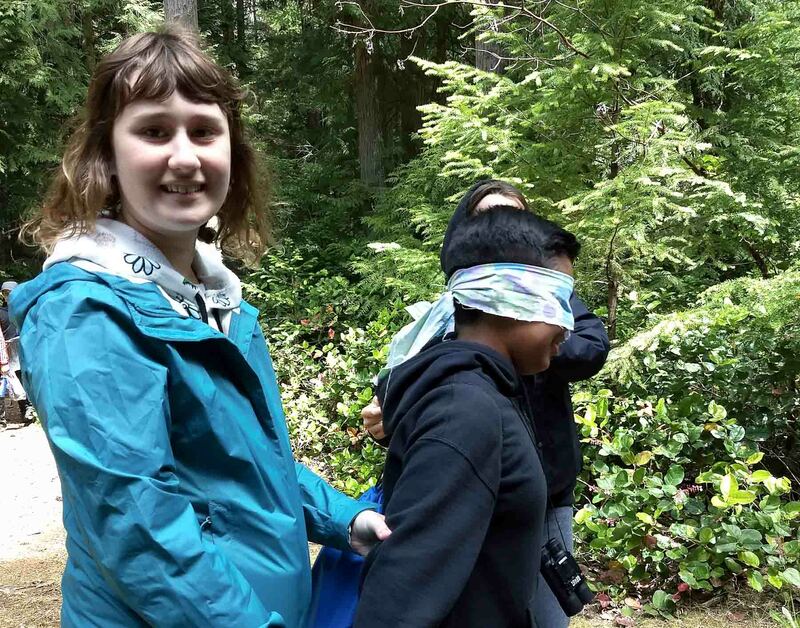 On June 5th and 6th, 26 creative elementary students from Vancouver’s Henry Hudson School joined us for two days of hands-on eco experience. 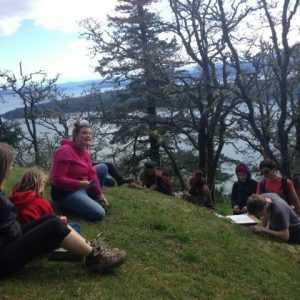 Galiano Conservancy Association’s Two-Day, One Night Adventure is a chance for schools from the city (and elsewhere) to stay overnight on beautiful Galiano Island, and spend their days taking part in transformative, hands-on education. 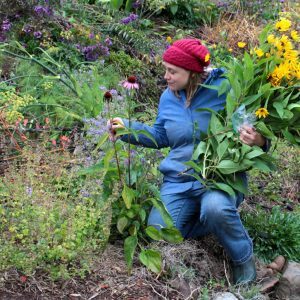 We were proud to be able to offer Henry Hudson School one of our program bursaries, made possible through the actions of our generous donors and fundraising volunteers. During the day, the group gets their choice of programs. Henry Hudson School’s teacher Ms Perrella choose our Coastal Forests of Pebble Beach on the first day, and What a Marine Life (one of our most popular programs) to cap off their second day. 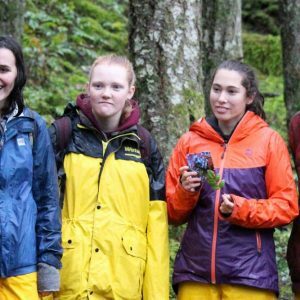 Coastal Forests of Pebble Beach gets students involved in comparing two forests: one healthy, one in restoration. 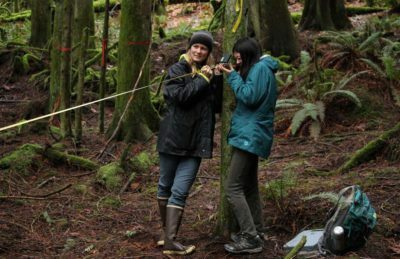 This group brought a unique spin to the coastal forest ecology teaching train. A teaching train is a technique we use in which students learn an environmental concept, then teach it to their fellow students. Henry Hudson students did it by creating inventive songs and dances to teach their peers! 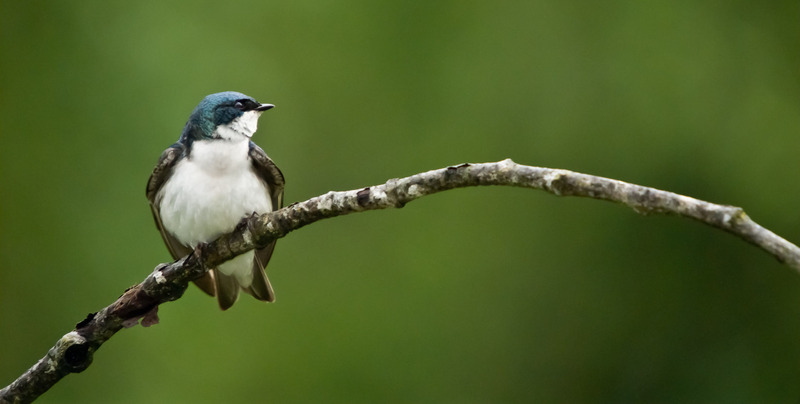 The song “Coarse Woody Debris” was a particularly catchy favourite. 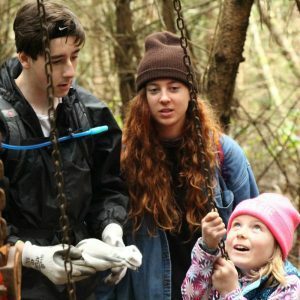 At the end of the day, the students helped the Galliano Conservancy’s ongoing forest restoration project by pulling down a Douglas fir that had been overshadowing some neighbouring trees. 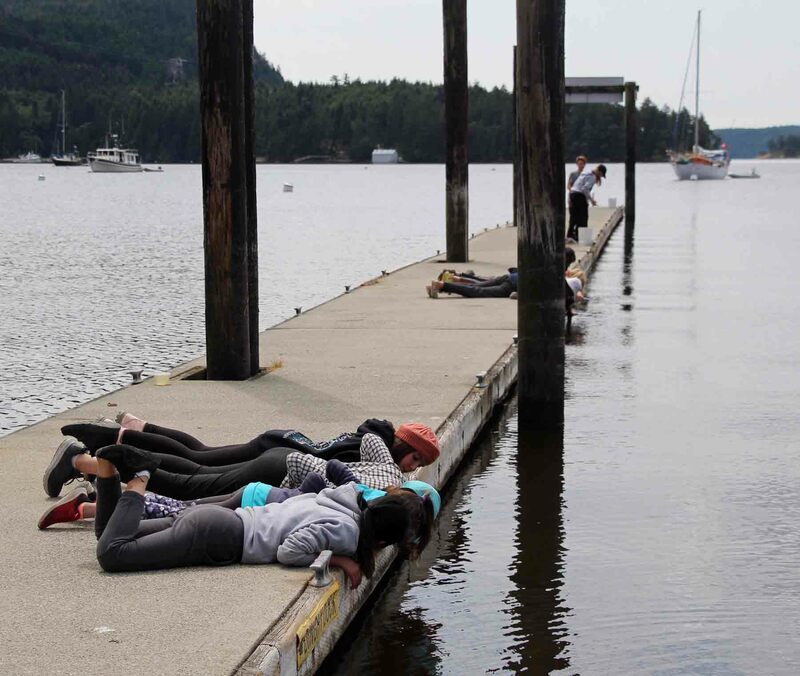 The next morning, the students joined us at Montague Harbour for our What A Marine Life program, where they free-explored at Shell Beach hunting for gunnels, shore crabs, and sea stars and learned about the adaptations that help them live in the inter-tidal zone. In the afternoon they learned about middens and participated in a teaching train at the dock and were amazed at the creatures they found. They also participated in biodiversity surveys at Dock Beach, and were amazed at the creatures hiding under every rock. 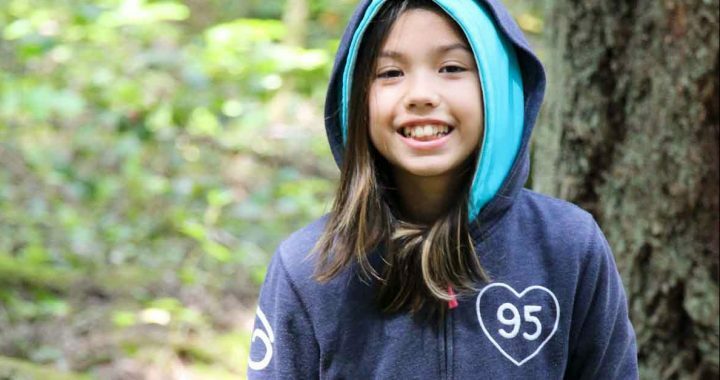 The students are excited to return to the beaches around Vancouver and use their developing identification skills on creatures close to home. We look forward to hosting this fun and creative group in the future. Posted in Education, Program Spotlight.